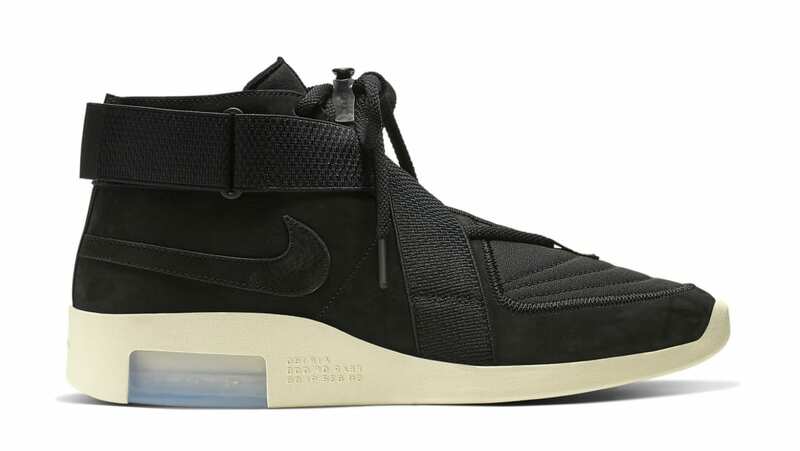 Drawing design cues from the classic Nike Air Raid, this iteration of the Nike Air Fear of God Raid will don a black-on-black upper seen on the cross straps, Swoosh branding, and toggle lacing system, which sits atop a cream midsole. Release date is Apr. 27, 2019 at a retail price of $190.